If Twitter is the town square for journalists, some are ready to step away. That's happening this week at the online news site Insider—by order of the boss. Reporters have been told to take a week off from tweeting at work and to keep TweetDeck off their computer screens. The idea of disengaging is to kick away a crutch for the journalists and escape from the echo chamber, said Julie Zeveloff West, Insider's editor-in-chief for the U.S.
Planning for Insider's ban predated the Covington story, West said. Twitter "isn't the place where most people find us," she said. "Reporters place this outsized importance on it." The Washington Post's David Von Drehle called Twitter the "crystal meth of newsrooms." He dates his moment of disillusionment to the Republican national convention in 2012. In the section reserved for reporters, he noticed many watching TweetDeck feeds instead of listening to speeches from the podium or stepping away to talk to delegates. "Twitter offers an endless stream of faux events," Von Drehle wrote in a column this past weekend. "Fleeting sensations, momentary outrages, ersatz insights and provocative distortions. 'News' nuggets roll by like the chocolates on Lucy's conveyer belt." Since Twitter is irresistible to journalists who have the smart-aleck gene—probably the majority—a newsroom quip or instant observation is now writ large. The Covington story uniquely played to Twitter's faults. Early video that depicted Covington student Nick Sandmann staring down Native American activist Nathan Phillips spread rapidly across social media and many people rushed to offer their takes. An event that may have otherwise gone unnoticed instantly became a story by virtue of its existence online. Yet when a wider picture emerged of what happened, in some respects quite literally from the view of a wider camera lens, a story that seemed black and white became gray. Some of the early opinions became embarrassing and were quietly deleted. But since there's no such thing as a quiet deletion when people are watching online, the incident became fodder for another outbreak of partisan warfare. The episode led Farhad Manjoo, a columnist for The New York Times, to declare Twitter "the world's most damaging social network." "In order to be good on Twitter, you have to be authentic," he said. "But authenticity is also dangerous. It leads people to make assumptions about you. It can go bad in different ways." Perhaps it's inevitable at a time that Twitter needs to be constantly monitored because it is one of the president of the United States' favorite forms of communications, but Manjoo said too often reporters spend more time in the virtual world than the real one. "The way the media works now, we've just gone overboard on Twitter," he said. Days after Covington, some news outlets proved his point by writing stories about NBC "Today" show host Savannah Guthrie's interview with Sandmann that were nothing but collections of Twitter comments about how she did. Some tweeters thought Guthrie was too hard on him. Some thought she was too soft. Simply by nature of the forum, few who thought it was just right bothered posting. "I really don't think it's so hard to avoid commenting on a moving story when the facts are not clear," said Jay Rosen, a New York University journalism professor. Leaving Twitter means cutting off a valuable news source since many newsmakers use the venue to make announcements, he said. It's also an equalizer in giving access to a virtual town square to people who might otherwise be overlooked, said news consultant Jeff Jarvis. "Journalists should be looking for every possible means to listen better to the public," Jarvis said. "If you cut yourself off, it's ridiculous." Some have done that, or tried. 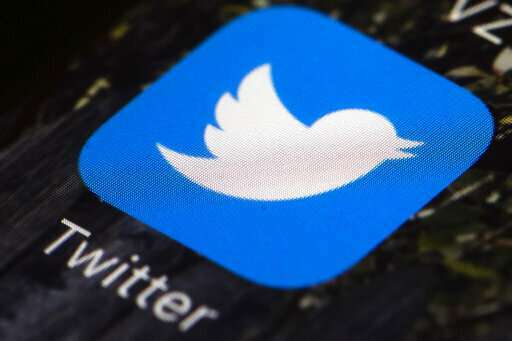 Manjoo's colleague at The Times, White House correspondent Maggie Haberman, wrote last July about how she was stepping back from Twitter after nearly nine years and 187,000 tweets. "The viciousness, toxic partisan anger, intellectual dishonesty, motive-questioning and sexism are at all-time highs, with no end in sight," she wrote. "It is a place where people who are unquestionably upset about any number of things go to feed their anger, where the underbelly of free speech is at its most bilious. Twitter is now an anger video game for many users." Haberman predicted she would eventually re-engage with Twitter but in a different way. She's back; she tweeted five times and retweeted links six times by 10 a.m. Tuesday. She's up to 194,000 tweets and has a following of more than a million people. She declined a request for an interview about how the experience changed her. Kelly Evans was an early Twitter user at The Wall Street Journal and then at CNBC, where she's a news anchor. She found it a valuable place to get ideas, and to connect with readers, viewers and fellow journalists. But she realized in the summer of 2016 that it was taking up too much of her personal time with little contribution to her professional life. She publicly signed off and has kept to her pledge for the most part. She says now she doesn't regret it. "I feel more healthy and I feel like I'm able to do my job better," she said. Their credibility is gone so it really doesn't matter. Colleges and Universities have done a good job weeding out anyone who doesn't have a marxist mindset. 101% correct there James! I can see that everything our forefathers worked so hard to create is swirling down the drain. Everyone is a victim now deserving of special accommodations. Object and you are labeled some sort of "ist".